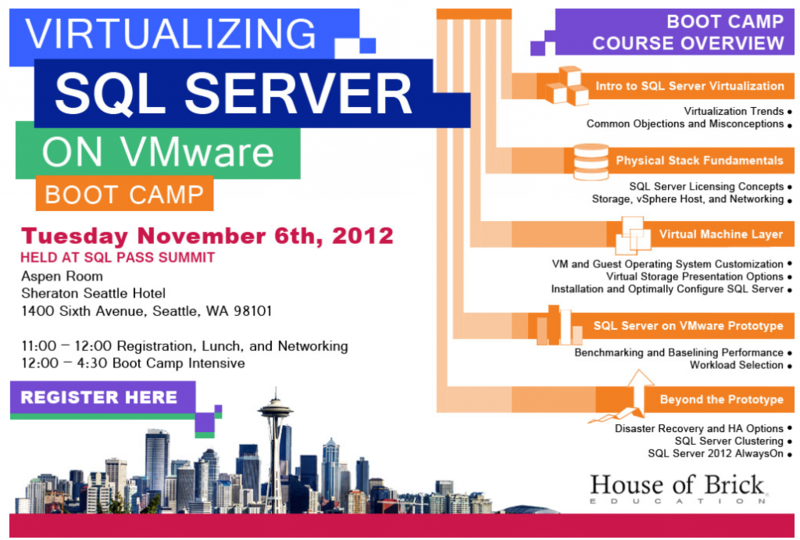 Conquer Your Fear of Virtualization with a Free Day of Training at PASS! Double-click the link above to register! Presented by my buddy, David Klee at House of Brick, one of the nations top VMWare consultancies specializing in Oracle and SQL Server deployments. David has a great write-up of this boot camp at http://www.davidklee.net/2012/10/01/virtualizing-your-business-critical-sql-servers-free-boot-camp-by-house-of-brick/.